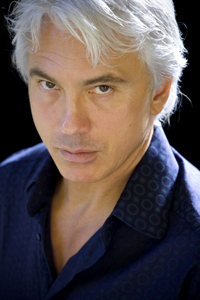 Dmitri Hvorostovsky was born and studied in Krasnoyarsk, Siberia. From the start, audiences were bowled over by his cultivated voice, innate sense of musical line, and natural legato. In 1989, he won the prestigious BBC Cardiff Singer of the World Competition. Since his Western operatic debut at the Nice Opera in Tchaikovsky's Pique Dame, he has been invited for regular engagements at the major opera houses and festivals internationally. Dmitri also performed as a celebrated recitalist in every corner of the globe, and appeared in concert with the world's top orchestras and conductors, including James Levine, Bernard Haitink, Claudio Abbado, Lorin Maazel, Zubin Mehta, Yuri Temirkanov, and Valery Gergiev. Dmitri retained a strong musical and personal contact with Russia and tours its cities on an annual basis. He became the first opera singer to give a solo concert with orchestra and chorus on Red Square in Moscow; this performance was televised in over 25 countries. Together with Renée Fleming, Sumi Jo, Jonas Kaufmann, Ildar Abdrazakov and Sondra Radvanovsky he has appeared in a ‘Dmitri Hvorostovsky and Friends' series of concerts in Moscow. Dmitri recorded a number of recitals and complete operas on CD and DVD to much critical acclaim. He also starred in Don Giovanni Unmasked, an award-winning film (2001) based on the Mozart opera. Dmitri Hvorostovsky sadly passed away on November 22nd 2017.